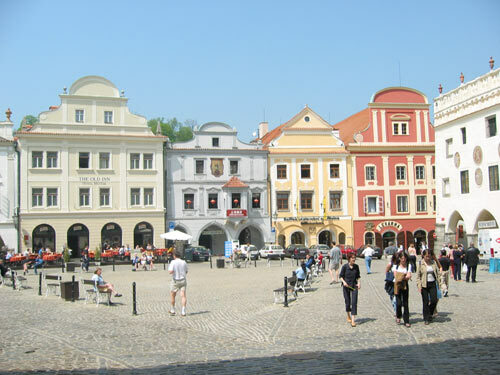 Cesky Krumlov was first mentioned in 1253. From 1302 to 1601 Cesky Krumlov was the seat of Rozmberk family who become the most powerful clan in Bohemia after the king. The greatest boom in the town`s history was enjoyed while Vilem of Rozmberk was in office. He had the castle converted into a comfortable residence. Also the whole town took on a new Renaissance guise with decorated gables and painted facades with graffito elements. Schwarzenbergs owned Krumlov from 1719 - 1947 (castle theatre with its priceless collection of original scenery, costumes, props and still functional machinery, Masquerade Hall). One of the largest in Central Europe. Fairytale world of little streets. Important landmark of the Cesky Krumlov.